Happy Wednesday! This week’s recipe is easy to make, tastes delicious and is sure to get you in the mood for fall. Enjoy! In large saucepan cook ground beef and onion until meat is browned. Drain off excess fat. 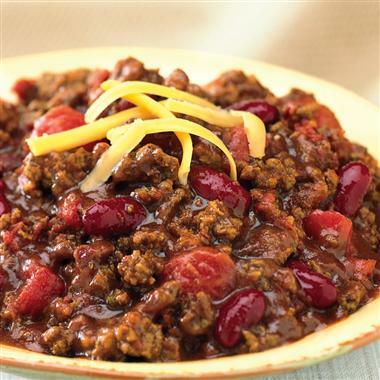 Add water, undrained tomatoes, undrained beans, tomato sauce and taco seasoning mix. Simmer, covered, 15 to 20 minutes. Serve. Add avocado, cheese, corn chips and sour cream to top of each serving. Happy Wednesday! 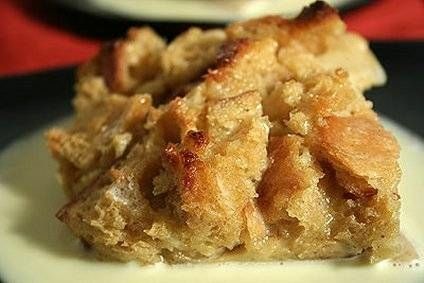 Classic bread pudding is the perfect fall dessert, so we’re sharing this delicious recipe with you on our blog this week. Enjoy! Scald milk, sugar and butter. Soak bread in this mixture for 5 minutes. Pour slowly over eggs; add vanilla and mix well. Pour into buttered baking dish. Bake in moderate oven at 350° until firm. Makes 4 servings. Optional: Add raisins or nuts. Mix cornstarch, sugar and salt; add to water and cook. Bring to a boil, stirring constantly. Cook until clear and thick. Add desired flavoring and pour slowly over beaten egg yolk. Add butter and cook a few minutes. Then choose one of these flavors: one teaspoon lemon rind and 2 tablespoons lemon juice or 2 tablespoons lemon juice and 1 teaspoon orange juice or 1 teaspoon vanilla. Happy Wednesday! 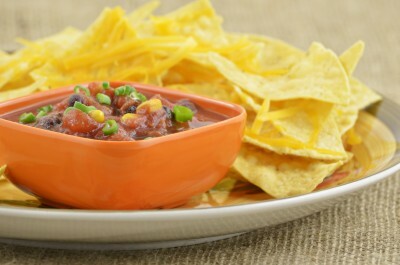 This week’s recipe is a thick, flavorful salsa that will please everyone with it’s array of flavors and textures. Enjoy! Combine all ingredients, being careful that there is not too much liquid. Serve the tortilla chips or in baked wonton skin cups. Buy the small rectangular skins and bake them in the mini muffin tins until crisp. You can trim off the corners to make them rounder if you have time. Do not get them too brown. Cool and fill with drained salsa. Here’s a look at the front cover of our new catalog! We’ve been working hard on it and it’s finally ready to be mailed out. The catalog features a new, easy to follow layout and brand new covers and dividers. Interested in creating a cookbook for fun or profit? 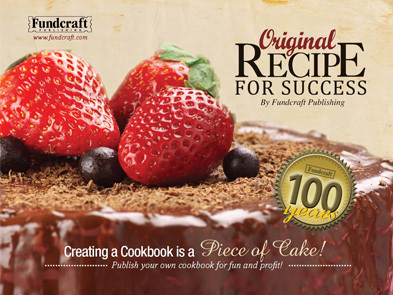 Order our new catalog today to see just how easy it can be – call us at 800-853-1363 or visit us online at www.fundcraft.com. We look forward to helping you create a beautiful cookbook! Happy Wednesday! It’s starting to get a little cooler around here, which means fall weather is coming! 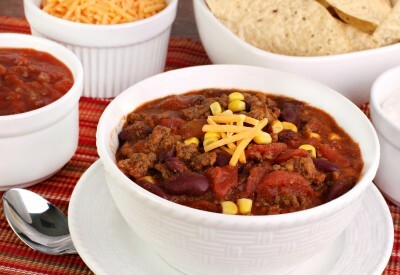 Here’s a delicious recipe for award winning chili that family and friends are sure to love. Enjoy! In large skillet, combine beef, onion and garlic and cook until meat is brown. Drain off fat. Stir in tomatoes (undrained), Ranch Style beans, tomato sauce, chili powder, dried basil, salt and pepper. Bring mixture to a boil; reduce heat. Cover and simmer about 20 minutes. Add your jalapeno peppers before you begin simmering. Makes 4 to 6 servings. Serve with additional toppings of picante sauce, Longhorn Cheddar cheese (grated), and Fritos corn chips. This week’s recipe is for the classic chocolate mint brownie. Now that football season has arrived, this three layer bar is the perfect treat for any tailgating party! Enjoy! Do the brownie layer first. Melt the margarine and cocoa. Remove from heat and add the sugar, vanilla, eggs and flour. Bake in 9 x 13-inch Pyrex pan at 350° for 20 minutes. Cool. 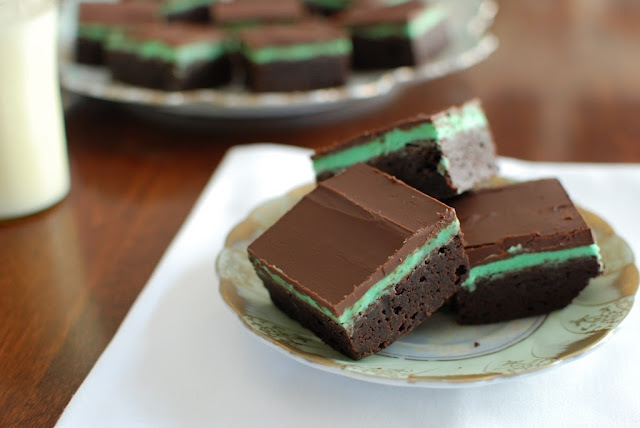 Combine the ingredients for the mint filling and spread on top of the brownie. Next, melt the chips with the 6 tablespoons margarine and add to the top. Cool and cut into small pieces. Happy Wednesday! Pumpkin Apple Streusel muffins are taking the spot as this week’s recipe. 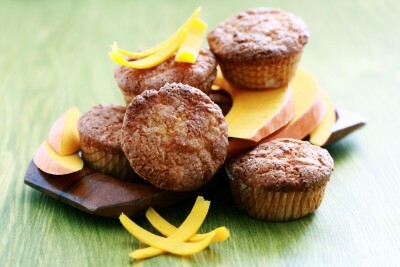 These muffins combine the wonderful texture of the apples with the warm taste of pumpkin. The simple streusel topping gives them a little something extra! Preheat oven to 350 degrees. Lightly grease 18 muffin cups or use paper liners. In a large bowl, sift together 2 1/2 cups flour, 2 cups sugar, pie spice, baking soda and salt. In a seperate bowl, mix together eggs, pumpkin puree and oil. Add pumpkin mixture to the flour mixture, stirring just to moisten. Fold in apples and spoon into muffin cups. In a small bowl, mix together 2 tablespoons flour, 1/4 cup sugar and cinnamon. Cut in butter until the mixture resembles coarse crumbs. Sprinkle topping over the muffin batter. Bake for 35 to 40 minutes or until a toothpick inserted into a muffin comes out clean.